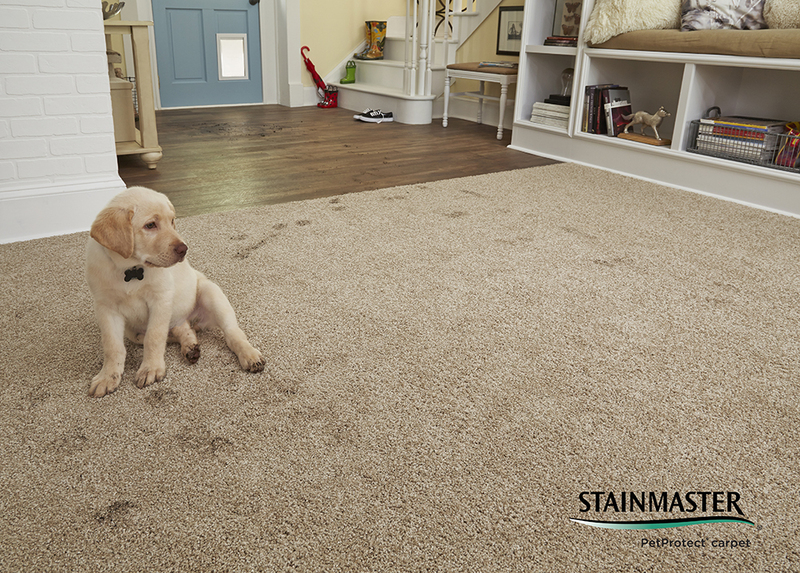 STAINMASTER® PetProtect® resists even the toughest pet stains with the best pet warranties in the industry. 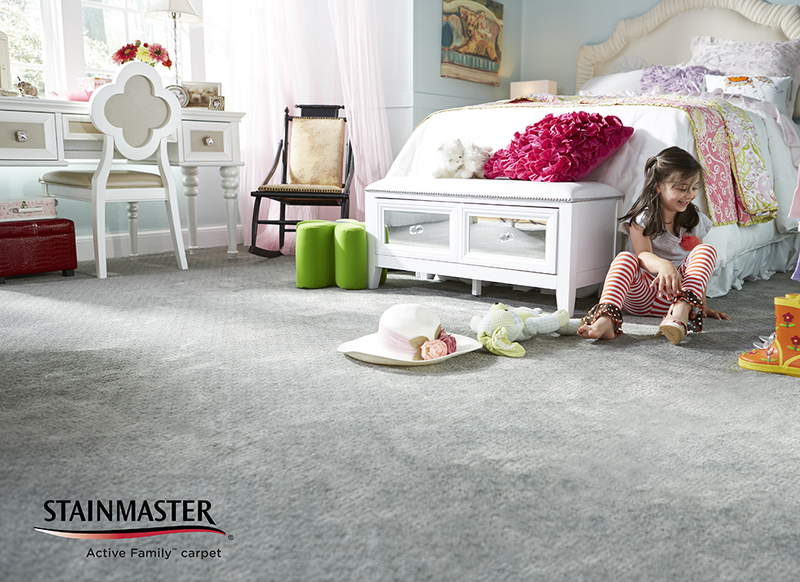 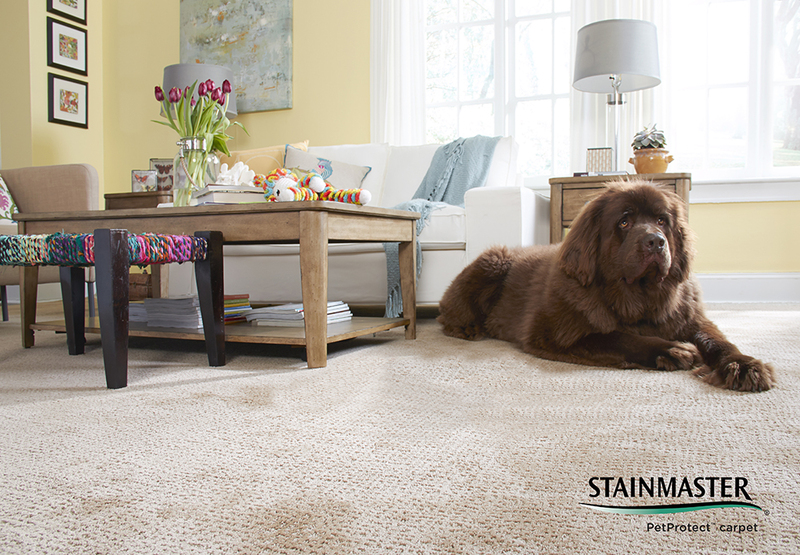 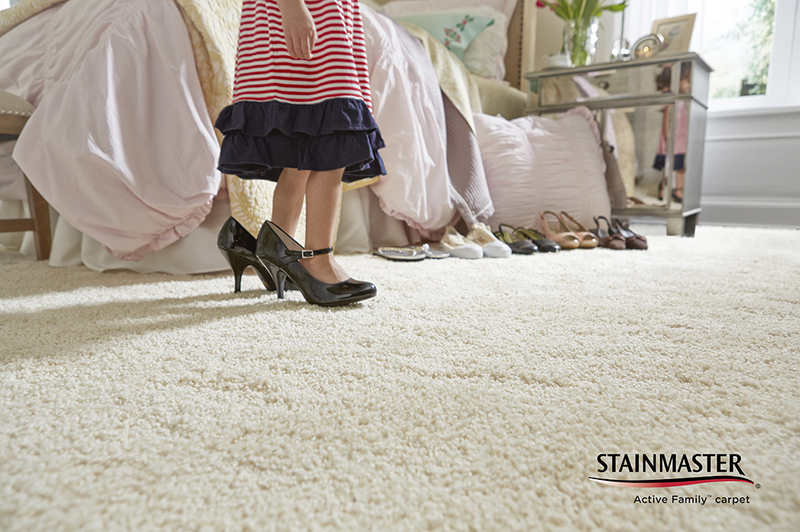 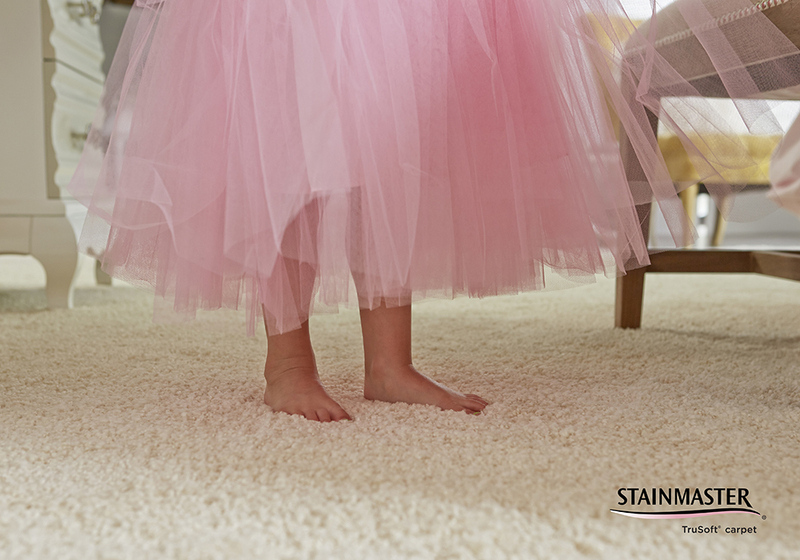 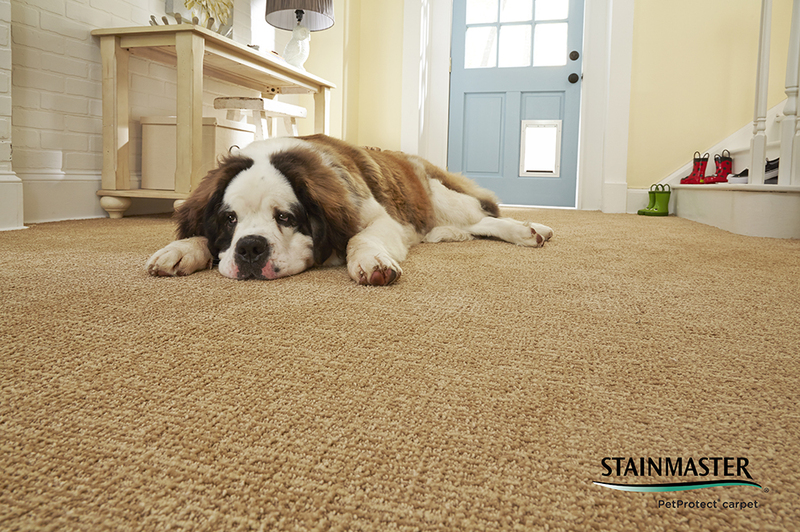 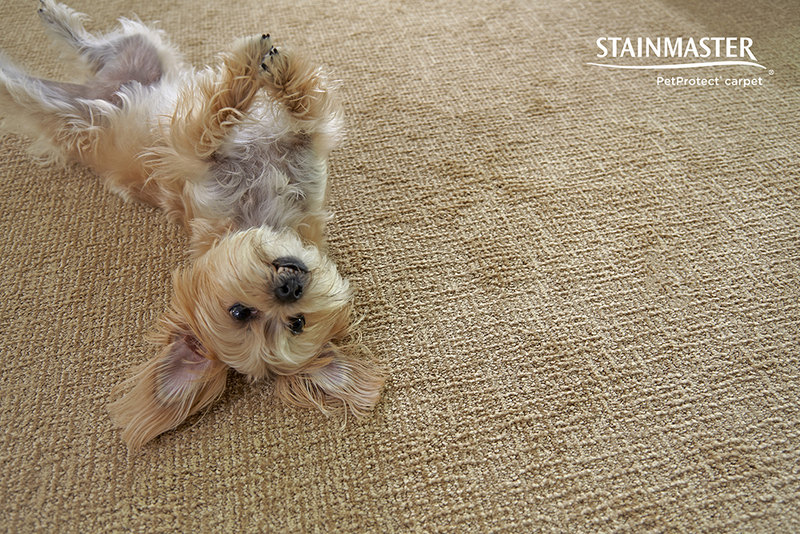 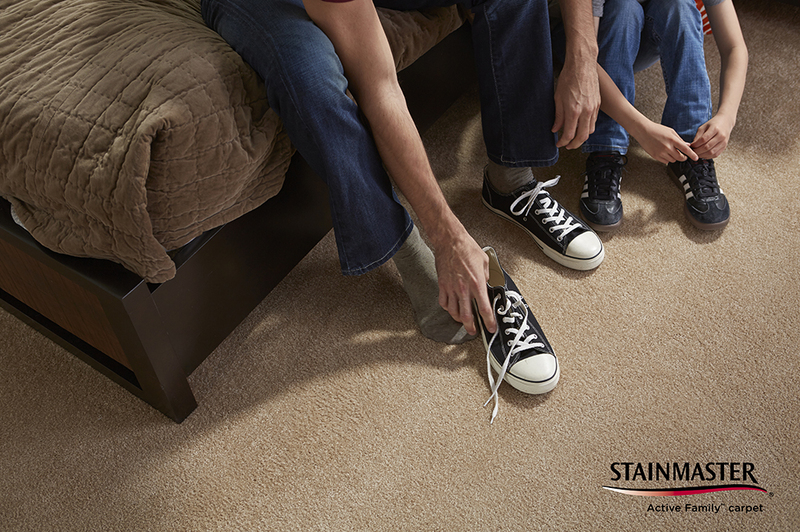 The new STAINMASTER® PetProtect® carpet is covered by the exclusive Platinum Promise™. 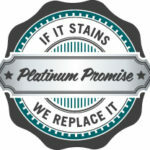 If it stains, we replace it. 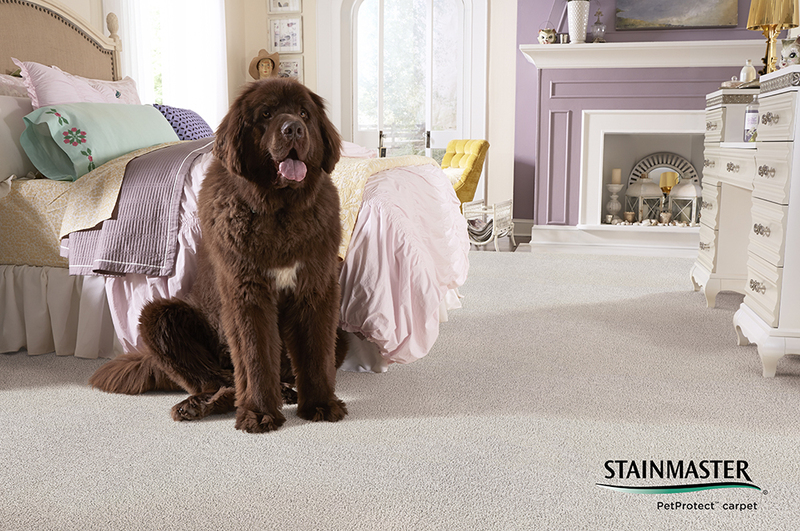 Its built-in stain protection to resist even the toughest pet stains. 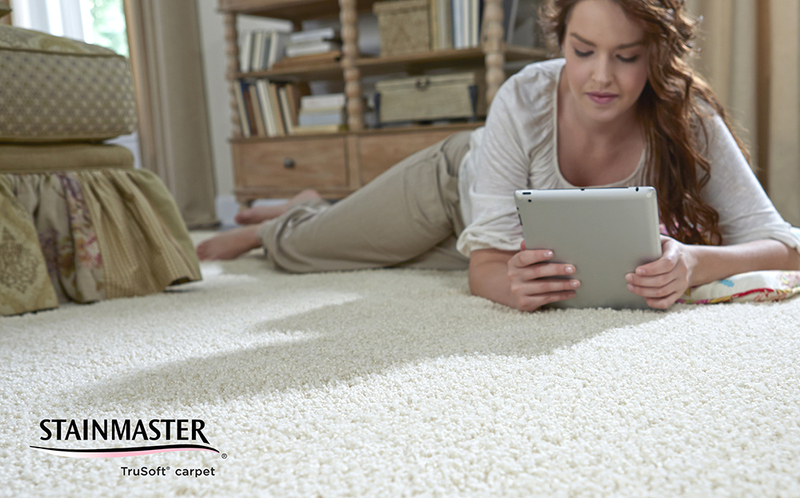 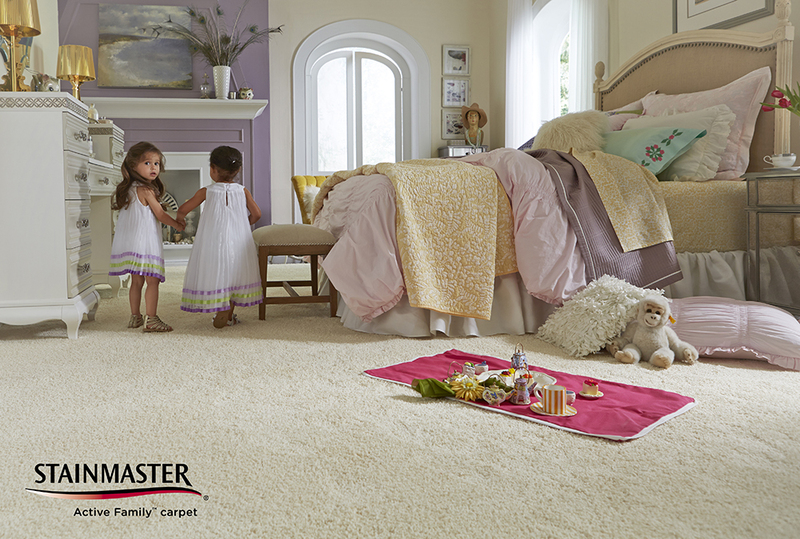 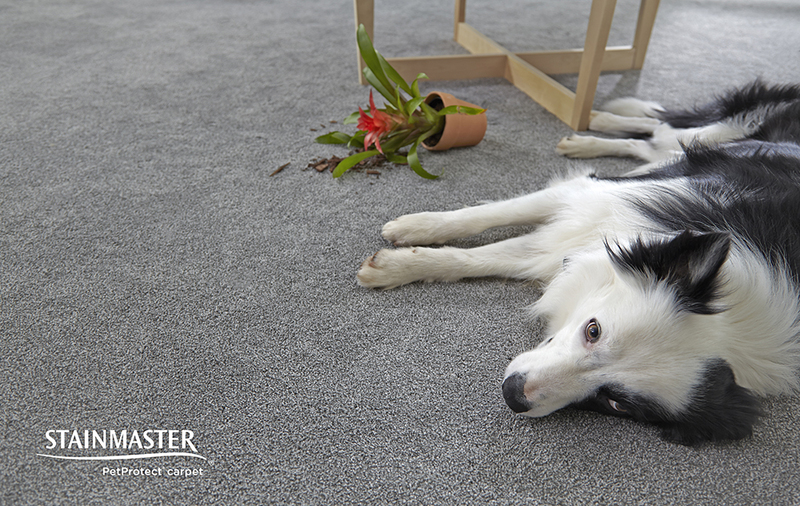 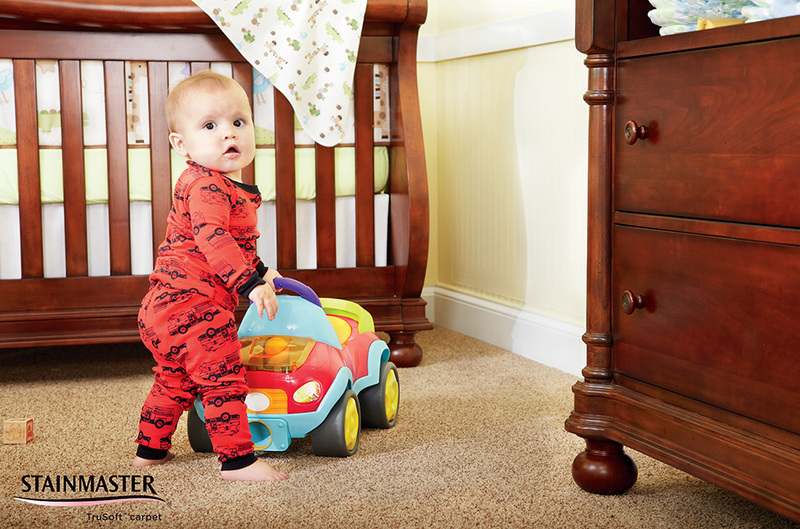 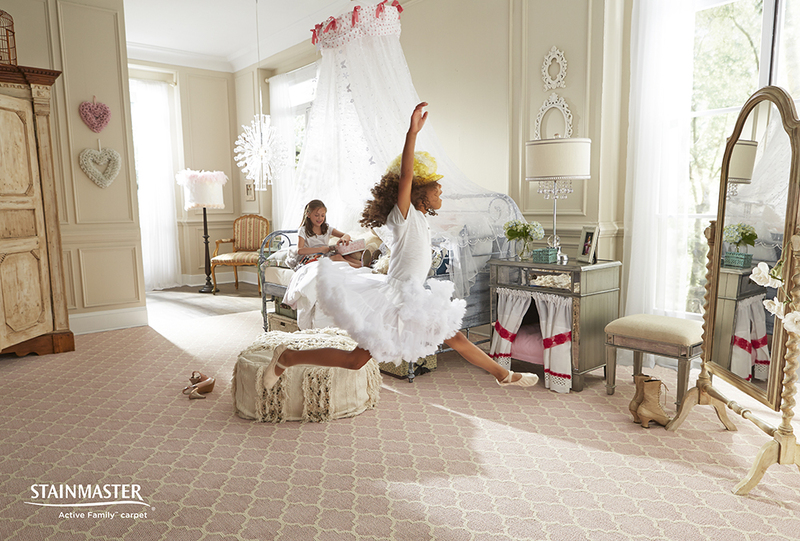 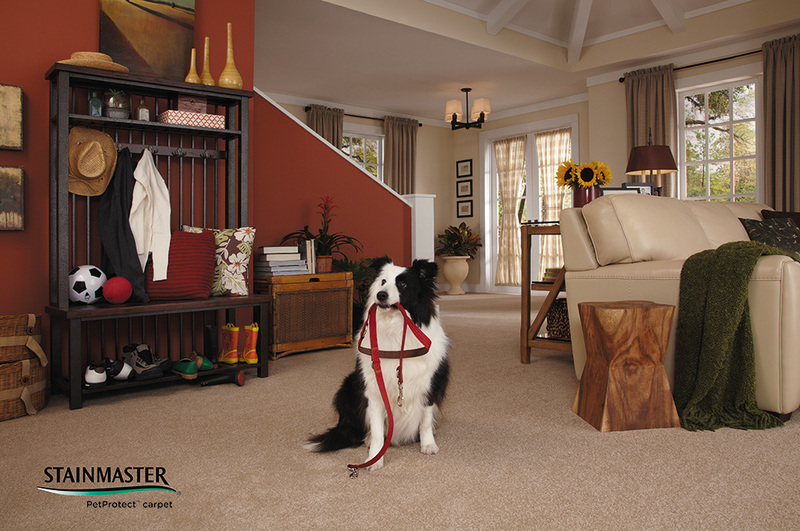 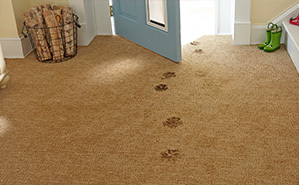 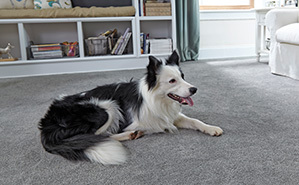 PetProtect® carpets are color safe and fade resistant. 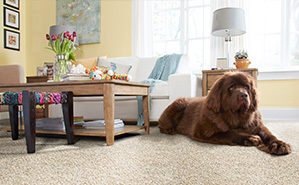 The locked in color resists fading from sunlight and allows you to clean up pet accidents without worry. 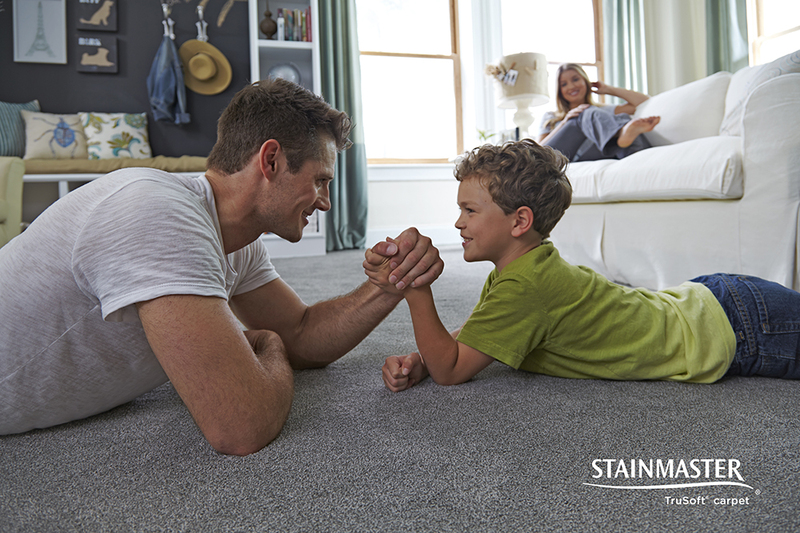 PetProtect® carpet carries the best pet warranty offered by the STAINMASTER® brand with protection against stains from urine, vomit and feces. 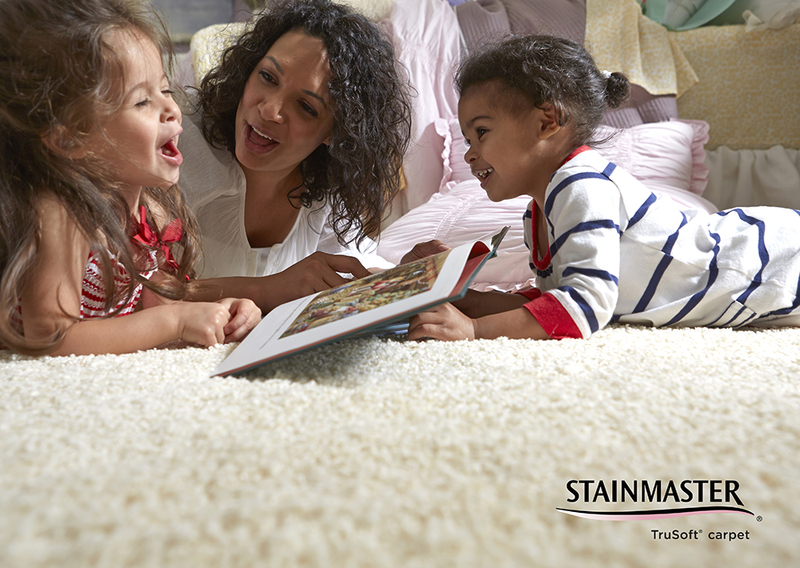 There are also limited warranties covering soiling, food and beverage stains, fading, texture loss, abrasive wear and static shock. 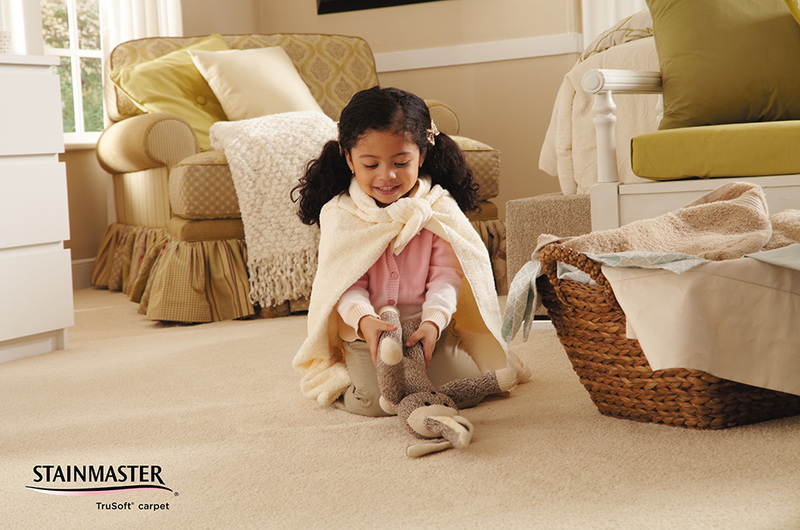 See stores for more information on warranties. 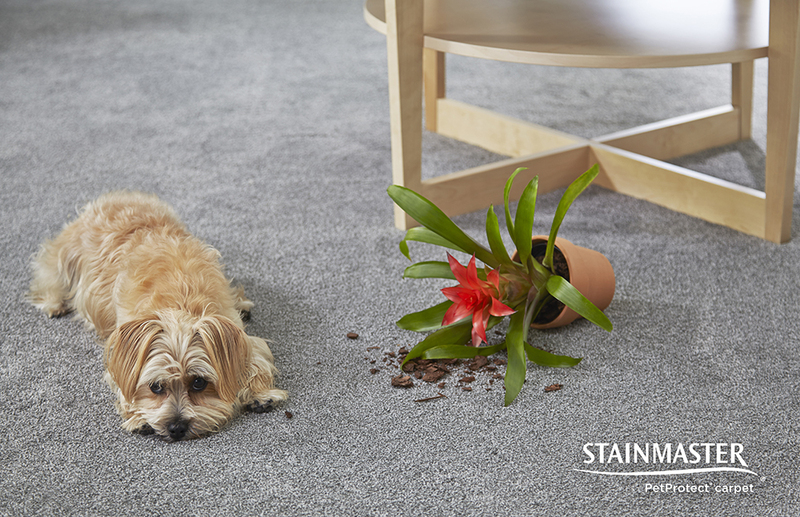 STAINMASTER® PetProtect® carpet easily reduces the attraction between pet hair and carpet so that more pet hair ends up in your vacuum than on your pants! 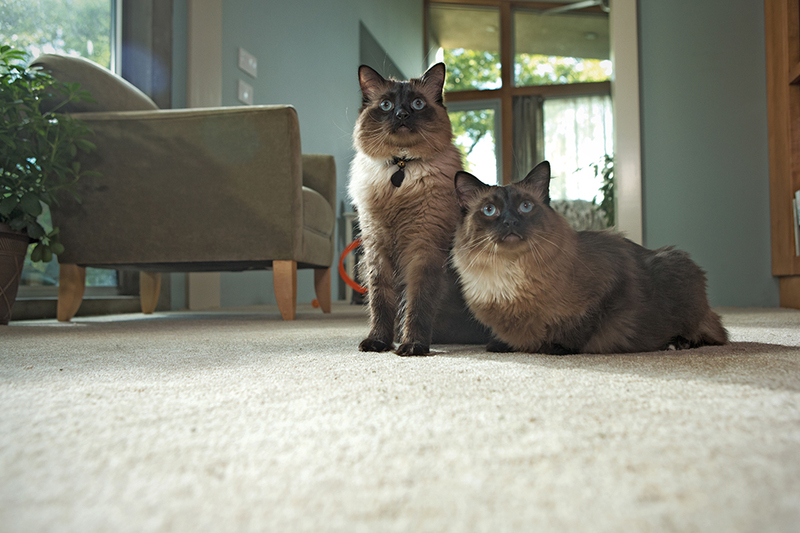 Spend less time vacuuming and more time enjoying your home and family — pets included! 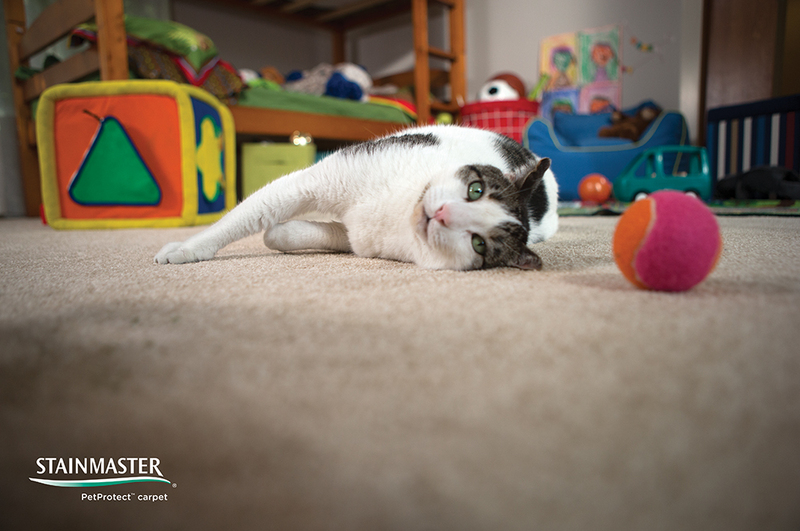 Concerns about pet odors are a thing of the past. 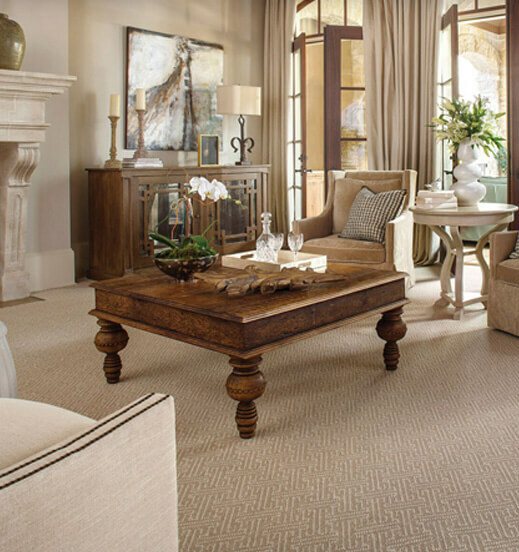 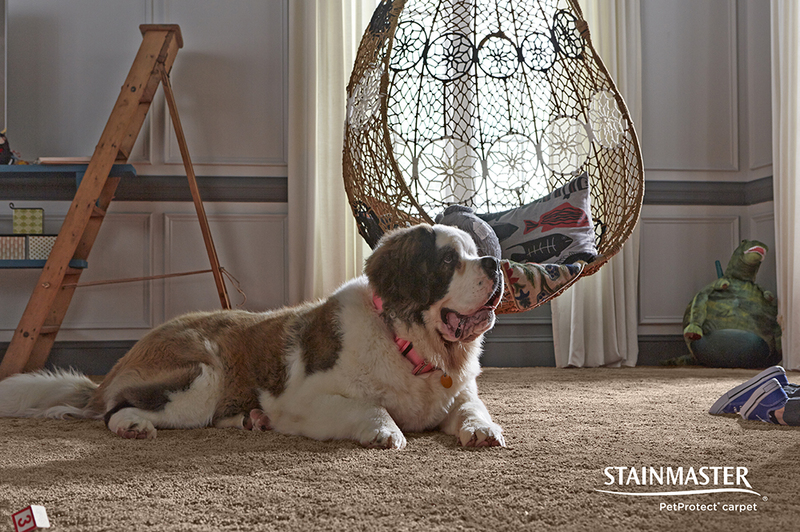 The proprietary STAINMASTER® carpet cushion was designed with pets in mind. 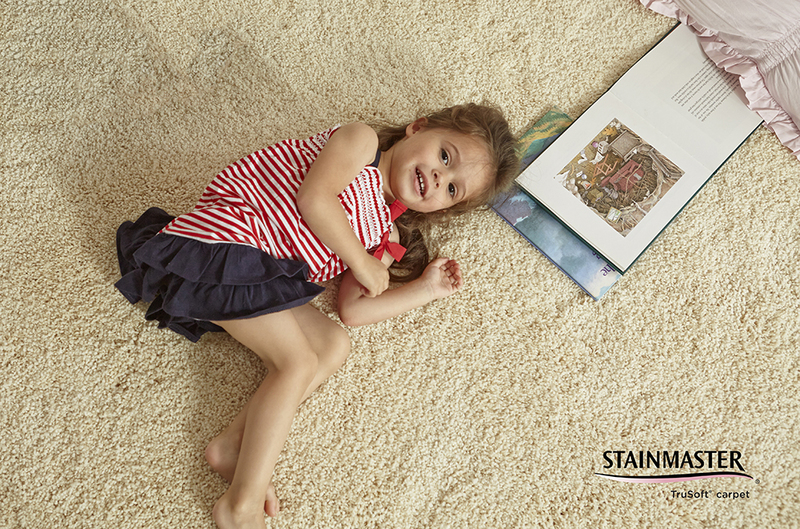 It has a breathable barrier that helps keep moisture from spills and accidents from soaking into the cushion and subfloor which helps to clean carpet more thoroughly and reduces odors. 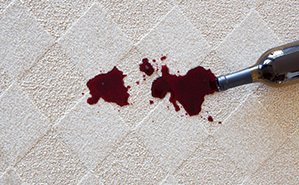 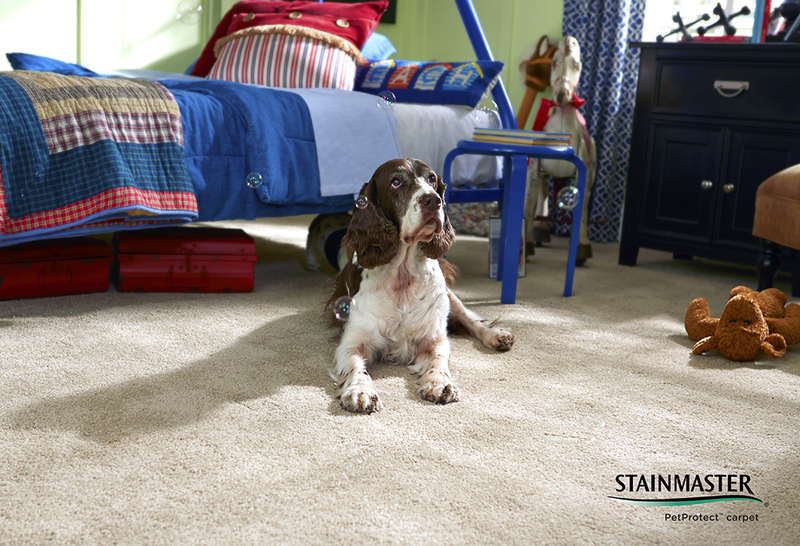 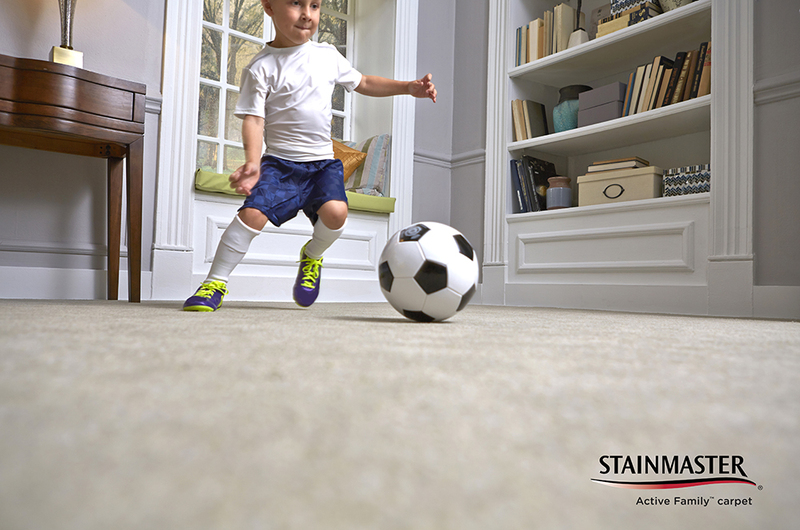 STAINMASTER® PetProtect® carpet stays newer-looking for longer. 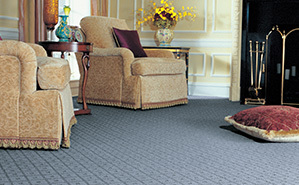 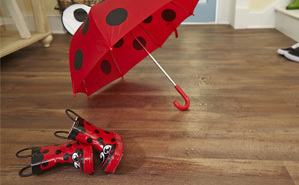 Its unsurpassed durability provides a foundation that protects against heavy foot traffic from shoes or paws! 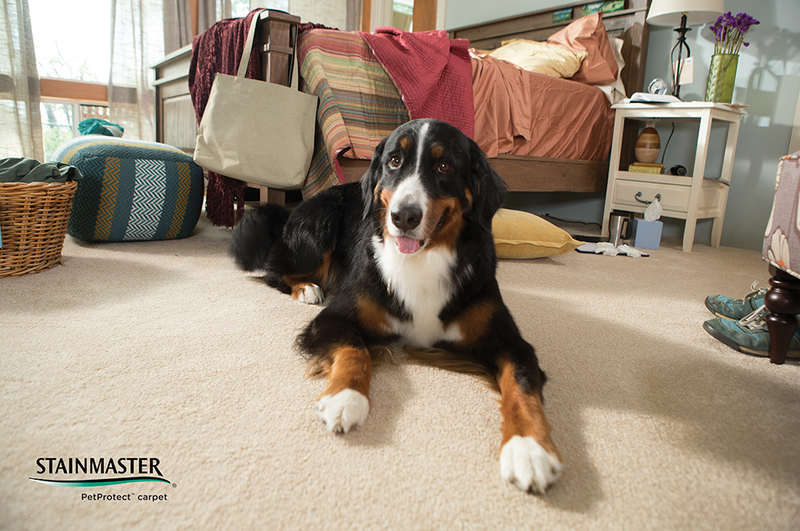 Watch the new STAINMASTER® PetProtect® training movies now! 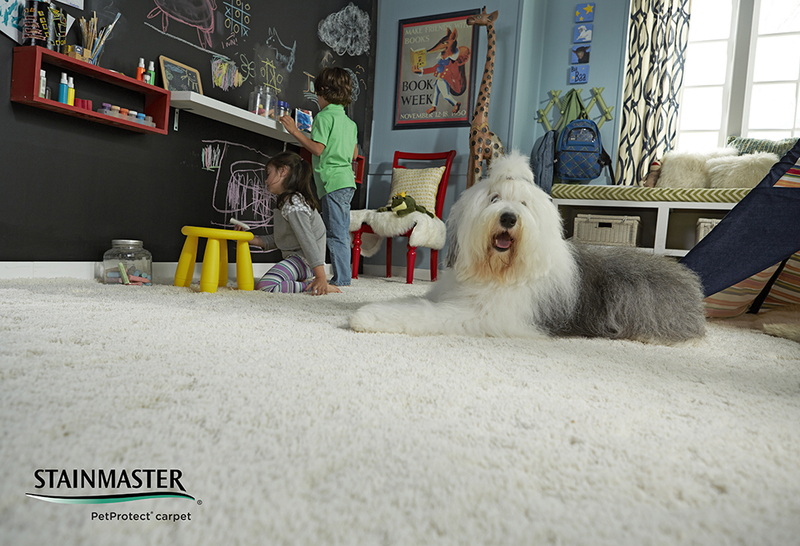 You’ll be entertained as you learn why the new STAINMASTER® PetProtect® carpet and cushion system is a great choice for those who own pets.